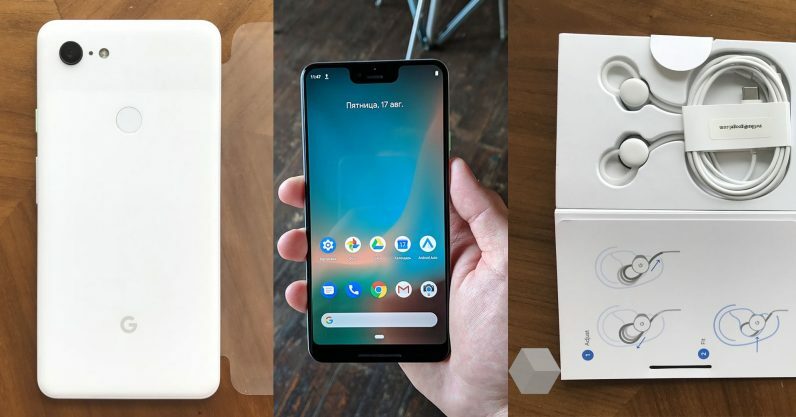 Despite the myriad of leaks so far, one of the big mysteries surrounding the Pixel 3 is why the phone has two cameras on the front but only one in the rear. Now a report by 9to5Google gives an explanation: something called Super Selfies. According to 9to5Google’s sources, this is largely related to making portrait mode better for selfies, even though I thought the Pixel 2 already had the best implementation outside of the iPhone X. Using two cameras gives Google better depth information, but that doesn’t necessarily explain the commitment to two cameras. The company has been adamant about only needing one sensor for the rear shooter in an era when having three cameras will soon be commonplace. That said, its possible the second camera is more useful on the front due to the necassarily smaller sensors. Moreover, the report also suggests one of these cameras is actually a wide-angle shooter while the other has a narrower field of view. The latter normally allows more flattering portraits, but makes it harder to take group photos. Having two cameras gives you the best of both worlds without having to crop the photo. Google slightly crops photos from its rear cameras for a narrower field of view, which is fine considering the Pixel 3 is expected to maintain a 12 megapixel shooter. But since the front cameras have an 8-megapixel camera, cropping the image would lead to more noticeable quality degradation. Lastly, the report also says Google will include new face retouching modes including Natural and Soft, the former which will presumably avoid the plastic sheen most such features allow. There might be other features in tow, but so far it’s not clear if Google will use the second front camera to improve facial-recognition security as previously thought. Meanwhile, though we don’t know what sort of improvements Google has made to its primary sensor, 9to5Google’s sources say Google has built a new Visual Core chip that will have applications beyond HDR+. For those not familiar, the Visual Core is an Intel-designed chip in the Pixel 2 that helps speed up photo processing significantly. It could also speed up AI processing, but the report does not specify what the Pixel 3’s chip will be used for. After Huawei arguably stole the camera crown from Google with the P20 Pro, you can expect the company to fight back. Each Pixel phone has broken a DxOMark record at launch, and I’d be surprised if the company weren’t aiming ever higher this time. Leaked camera samples look great so far, but we’ll have to wait until the fall to know what the phone is truly capable of.